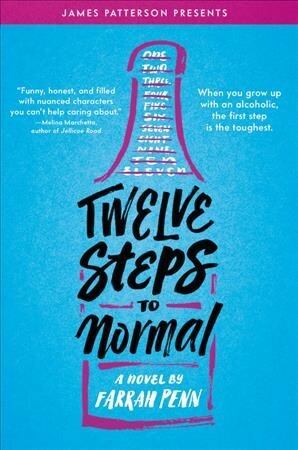 12 Steps to Normal is the story of how Kira returns to Cedarville, Texas to live with her father, a recovering alcoholic. Kira wants to start right where she left off and so creates a plan to get her life back to “normal.” However, Kira’s plan seems to be thrown off when she comes back to find that her father has invited his fellow recoverees to stay with him. This is a coming-of-age story; however, it is hard to view Kira as a relatable teenager. At times the dialogue does not seem realistic, making some of the decisions that Kira made unrealistic and frustrating. The conversations that Kira has with others seem a little forced and cartoonish (most teens don’t use this many filler words). Kira’s situation isn’t necessarily easy to empathize with, but better inner dialogue and reasoning would have made the book more believable. It is a heart-warming story. Kira’s character development is great. You get to follow Kira’s journey into acceptance and maturity. She goes from frustrating to believable/likeable as the novel progresses. On the other hand, Kira is really the only character. Kira’s “twelve steps to normal” has each step focus on a certain person in her life and her relationship with them. However, some characters seem to have been created for the sole purpose of going on her list and don’t add much to the story afterwards. These characters are realistic and likeable, but they seem a little shallow. Most characters in 12 Steps to Normal feel like props. Overall, I would give 12 Steps to Normal a 2.5/5. While dialogue and characters aren’t the best, the subject matter and plot give the book a compelling draw. It’s a lighter read that you can pick up and leave as you please.